One of the great things about being so involved with poker over the years from both a playing and a teaching perspective (and now living overseas amongst a ton of professional players as well) is that I have had the chance to meet a lot of talented people. I have been wanting to start doing a few more interviews on my blog here from time to time. I thought there was no better person to start with than Willian "KhalDragon" Mates. He has been a friend of mine and a regular poster on my forum and at DragTheBar for nearly two years now. He also has had outstanding success rising through the ranks from the very lowest stakes online NLHE cash games to now knocking on the door of mid stakes. He is an example of what hard work and dedication can do for you even in today's supposedly ultra tough games. Hello, my name is Willian Chaves Mates. I am 31 years old and from Brazil. I’m a production civil engineer. Currently I’m doing a master thesis on logistics and transportation. I have worked as a production manager in a factory and also have taught soil mechanics at the university. How and when did you first get introduced to poker? I think it was about 7 years ago, playing with friends but only for fun. Things were not serious back then, but I was very competitive as I always have been about almost everything that I get involved with. However, I did not play for real money or against more skilled opponents until much later. Online I played play money like 5 years ago. 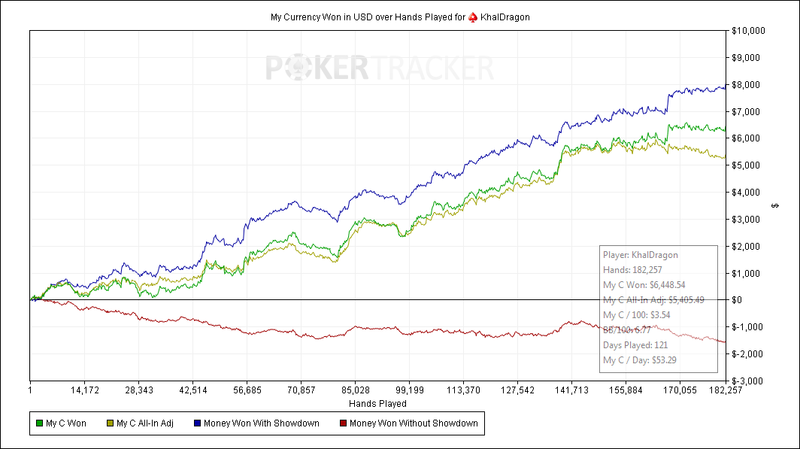 Just about two years ago I started playing on Pokerstars at the lowest stake level 0,01-0,02. That was exactly when I bought Crushing the Microstakes. I read it many times, made as many notes as I could, made lots of excel tables, and posted almost every day on BlackRain’s forum. Nathan I really gave you a lot of trouble back then! [BR79: Haha, no worries! You were quite the prolific poster back then but it is a testament to your dedication to the game and why you have seen such great progress]. I had a tremendous amount of success right away easily getting about 20bb/100 playing at 0,01-0,02 over a sample of over 100k hands. I remember being on vacation on my second or third month after reading CTM and I was able to have a 600 USD month playing 0,02-0,05. It was about July. In December of the same year (2012) I had a 1k+ month playing 0,10-,25. It was part time and I was not sure of how far I wanted to go with poker. Actually I kind of stopped for a while after that but I saw the possibility of making some real money playing this game. I’m playing a mix of 0,5-1 and 1-2 right now. Well from the point that I stopped in the last question, I had almost no poker activity in 2013 until July. By the end of June my contract with the university ended and sadly it could not be renewed. However, I had some savings for the upcoming months and a lot of free time. So I remembered that I had some success with poker in the previous year and decided to take another shot, a more serious one. I only had 200 USD in my bankroll at this moment (previously cashed out all the rest) so I decided to play 0,05-0,1 full ring, and played only this game, since that has always been my best game. In one month I managed to get a healthy enough bankroll to play 0,1-0,25 so I moved up. I proceeded to play at this level and a few months after that moved to the next level. I think it is important to note that I played no SnG, no MTT and almost zero short-handed, I kept focused on full ring cash games. December came and again a huge boom. There was a huge volume of deep stack games, lots of fish and I ran incredibly well. I ended up over 5k USD in earnings on the month, which was huge for me. The beginning of 2014 was not so good. I bought a nice car and overall increased my expenses a little bit but then I fell ill a couple times. I also had some bad runs (actually I think I played bad, both because of being sick and because of having some new money pressure). So although I had some really good results instead of moving up I was indeed going to move down. At that point I had a conversation with Paul Ratchford, an incredibly skilled high stakes pro, and he told me that my skill was far greater than the level I was playing and it would be a huge waste of time if I moved down. So he mentioned Staking Pros, a site which is run by Hunter Bick, the [now former] CEO of DragTheBar. They have been kind of my home for poker. It is for sure the place where I learned the most in the past years. I had a conversation with Hunter and we started a staking arrangement where I would play at 0,5-1 and we agreed that if I manage to get good results then I would quickly move up to 1-2. That is exactly the point where I’m at now. [BR79: Here are some recent graphs that Willian posted on his blog that show just how dominant he has been at the tables. First one is mostly NL50 near the start of this year. Second one is NL100 from last month, April]. Do you have any advice for people just starting out in poker or who are currently struggling at the lowest limits? I think that people should realize how important focus is. People that really want to go to the next level should probably focus on a single game and commit to it. Playing less tables is also something to consider. By reducing the number of tables not only the focus on each table will increase but the game selection will improve drastically since you will be playing less marginal tables. What you will essentially be doing is trading those extra marginal tables for focus on the really profitable ones. 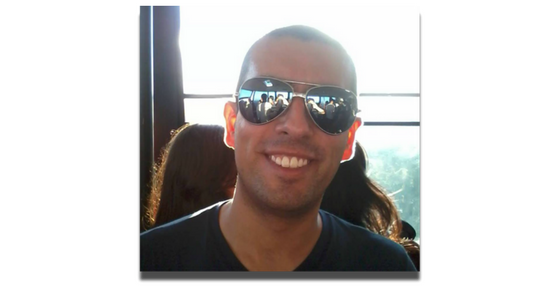 I have recently started a blog at www.khaldragon.blogspot.com.br. You can find my coaching page right here. My blog is kind of new but I plan on doing two posts per week, both talking about my struggles at the new levels and about the strategies that I’m using. You can also find me on Twitter here. I want to thank Willian Mates for taking the time to do this interview for the readers here at blackrain79.com. I think the sky is the limit for this guy and once again he is a perfect example of where you can get with dedication and focus in this game. I would encourage all readers to go check out his blog. I am subscribed and looking forward to reading all of his future posts! If you have any questions for Willian please leave them below or ask him directly on his blog. Also let me know if you like seeing interviews like this and want to see more! Would you share your thoughts about 6max vs FR and fast games like (zoom,rush..) vs normal. What do you prefer. When I bought your book I was a break even player in FR tables (2nl) and after reading CTM I imeadiatly had great success with around 10bb/100 and won around 500USD just from 2NL (long grind). then I started to get on forums and joining different training sites (even paying a coach) trying to move up stakes. Firstly I switched to 6max and had great success (but proobalby it was just insane heater) from then I played 6max games. But suddendly I realized I am not turning any profit even though I have been strudying hard, maybe too hard. I can also be on a downswing but I am not giving up.. Maybe 6max are not for me and I only had early succes who knows :).. So from today I will give a shot at some FR tables because I think there is more dead money laying around specialy at 2NL.. Waiting for your next book to get out of my troubles :) I love your work! I think there inset much difference between FR and SH, but sh has more regs so overall it is probabily thougher. Zoom is way more dificult to have a high winrate, you cant table select and even fish will play a tight game. Thanks for the kind words. I definitely agree with what Willian said about the Zoom/Rush games. I don't really play them because I think the action is just better on the regular tables. As for FR and 6max, it just comes down to your personal preference. I don't think one is really more profitable than the other. Thanks both for your replies. I really apreciate that you all are willing to share your thoughts :) I wish you all the best and keep grinding up. Thanks for the oportunity Nathan, that means a lot for me, particularly because I started my poker journey right here at your web site! For anyone who wnat to make me aditional questions feel free to ask them here or at my new blog http://khaldragon.blogspot.com.br/. Nice story so far Willian, keep up the good work..!! I saw Willian last night playing NL100 FR. He was at a table with a PokerStars pro, whose name I don't remember now. Go go Willian! Hey guys, nice article. I think you're right about FR being better/softer than 6max however I play on Bovada and 6 max is kind of 60%fish 40% decent players but there are still plenty of fish. The trouble I have is Bovada doesn't time out people that aren't paying attention very quick and it can take FOREVER to complete hands at FR, haven't been able to tolerate it too well and there are no fast table options. Looks like you had quite a bit of determination, there are some pretty nasty downswings there but you always recovered pretty nicely. That's part of my problem, sometimes I just get burnout and have to take anywhere from 2-4 weeks off if I'm not running very well. Sorry I missed this comment! 1/2 online is definitely a lot different than 1/2 live. 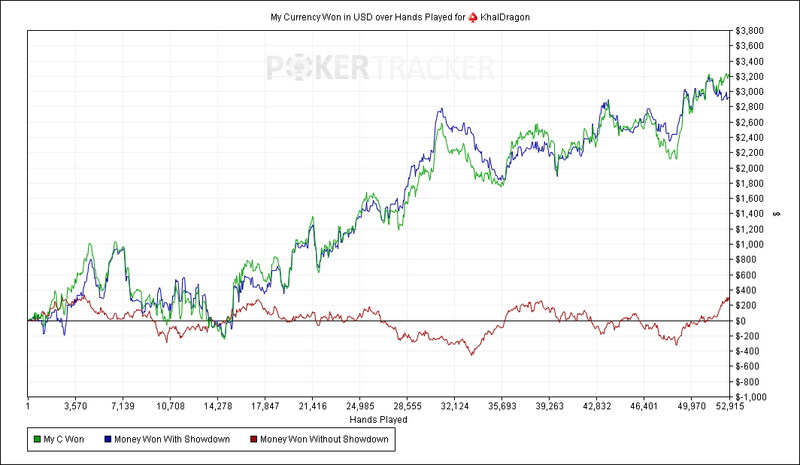 In my experience (and from what I have heard from others) 1/2 live plays like NL2 online, the very lowest limit. At 1/2 online you will typically be playing with mostly good regs, several of whom might be pros and one semi bad player. Table selection is crucial by this limit.